Today (Friday, December 21) is the shortest day of the year, so take time to snuggle up with your family during these last few hectic days before Christmas. From this day forward, we’ll inch forward with longer days as we reach for the warm days of spring. 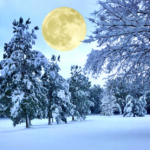 Tomorrow (Saturday, December 22) is the Winter Solstice full moon. Referred to by Native Americans as the Full Cold Moon, this December’s full moon falls on the Winter Solstice. The last time this happened was in 2010, and the next time the Full Cold Moon will rise in full on Winter Solstice day will occur in 2094! What a special way to send off a wonderful year! 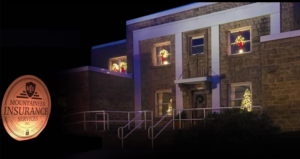 Our offices will be closed Monday, December 24 and Tuesday, December 25 (Christmas Day). We will reopen on Wednesday, December 26. 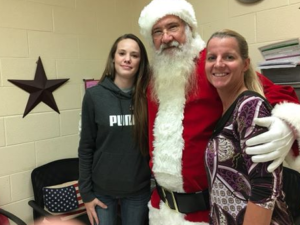 “I had the opportunity to spend the day (Wednesday, December 19) with an amazing Santa at George Ward Elementary School. First, let me say that he is such a blessing to our community. He never takes any money and he is ALWAYS so good with the kids. Secondly, our teachers rock! They were so sweet to let us interrupt their day. Third, Sasha Conrad is a superstar, super fantastic! Forth, if you have a child that goes to George Ward, you should be very proud of your children. They were so polite, caring, and I must say… never, ever, have I heard so many kids ask for gifts for someone else and not themselves❤ You have done well! Can you get my dad a truck? He has a pretty crappy one right now. A new Mom – just joking the little girl said! To see the magic in these kids’ faces was something no one could forget. It was a great day. What good kids!!! Merry Christmas everyone, and on to a Happy New Year!